Are you playing Pokémon Go? Of course you are. Even if you’re struggling with that fact that you can only catch Rattatas and Pidgeys, you likely still love the thrill of the chase. And even better, the fact that it reminds you of childhood is even better. Who doesn’t love nostalgia? Good news for fans both old and new — it’s been announced that the very first live-action Pokémon film is in the works, centered around the wildly adorable Detective Pikachu. The Pokémon Company is working with Legendary Entertainment to put it together, and it’s scheduled to start production next year. While a live Pokémon movie was in talks for awhile, the success of the game made demand even higher. Since the game was launched, Nintendo saw a 25% rise in stock, which is kinda-sorta huge. 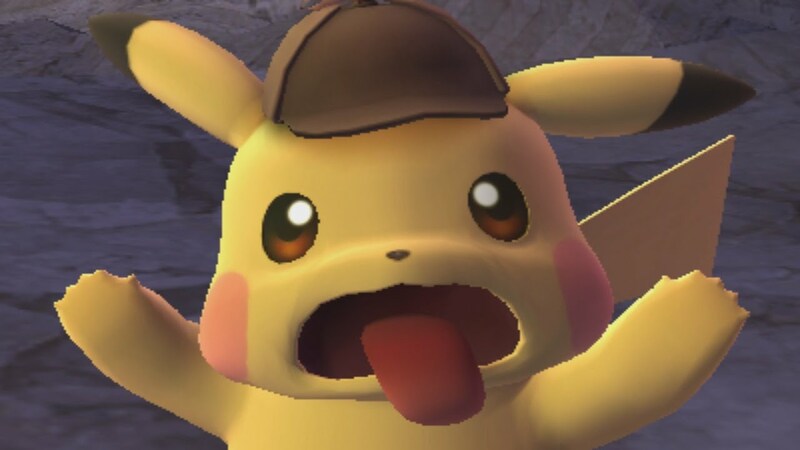 Detective Pikachu was first introduced in a Nintendo 3DS game called “Meitantei Pikachu: Shin Konbi Tanjō” (or in English, “Great Detective Pikachu: Birth of a New Duo”) and unlike the Pikachu that we’ve known and loved since the mid-90s, he’s got a stronger vocabulary and some street smarts. Since the movie news is so new, it’s unclear as to whether or not the film will follow a similar storyline as the game, which found our fearless, hat-wearing Pokémon solving mysteries with a human named Tim Goodman — notably, a mystery surrounding Tim’s father. While everyone’s chatting about the app, it’s important to remember that while Pokémon has been in the news a ton these days, the franchise has always been huge — not only are Pokémon cards still quite collectible, but the animated series has been on air, and producing several spin-offs, since 1997. Universal Pictures is set to distribute the film in America, and we can’t wait to see what kind of adventures our friends will get into once it’s released.